If you already live in Palo Alto you know what an amazing city it is to do some shopping, enjoy a variety of inspired and diverse restaurants, and of course raise a family. If you're planning to move to Palo Alto then you have so much to look forward to. Palo Alto and the surrounding cities of Menlo Park, Mountain View, Los Altos, and East Palo Alto are very eco-friendly cities with a strong commitment to sustainable living. You can see it in the organic food served at the many restaurants on University Ave, the recycling practices mandated by the city, and the abundance of electric vehicles on the road. When it comes to reducing waste during a move, Palo Alto residents have been just as committed. 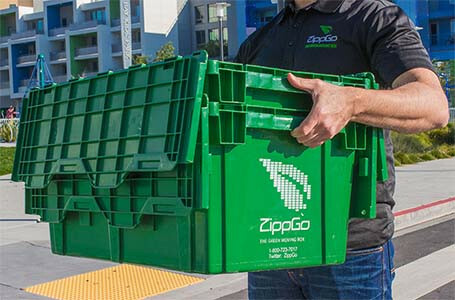 Prior to ZippGo, during a search for moving boxes Palo Alto residents would only be able to buy cardboard boxes for packing up their belongings. 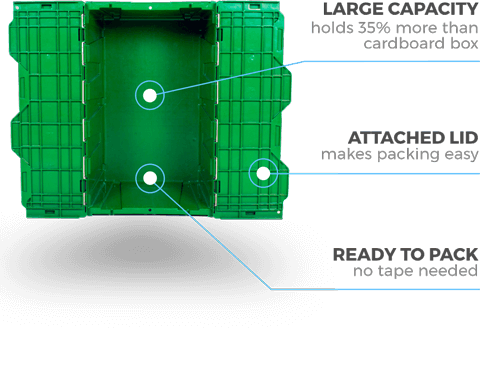 In an age of innovation, efficiency, and sustainability in just about every other industry, we're bringing these same qualities to the way people pack and move. 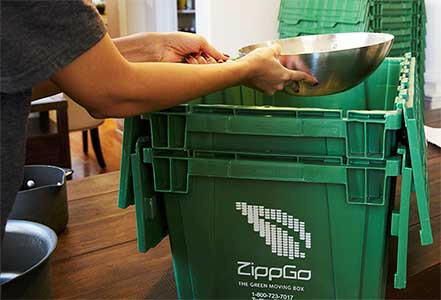 Since 2009, ZippGo has been renting and delivering our green moving boxes to Palo Alto home owners and renters to make packing before a move simple, cost effective, and safe for the planet. Placing an order on our website is quick and easy and can be completed in less than seven minutes. 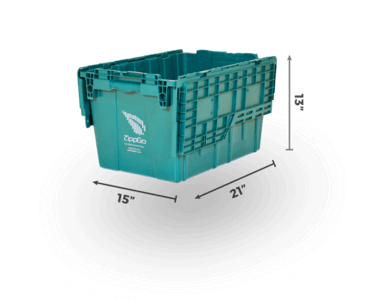 You'll start by selecting one our pre-configured box packages, then choose how many weeks you would like to rent them for, and then add any of our green moving supplies to your order. After this simply let us know when and where to deliver. 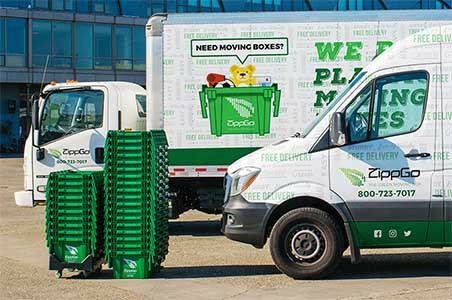 Before you know it one of our shiny delivery trucks will deliver the green moving boxes Palo Alto residents have been using for years right to your door. 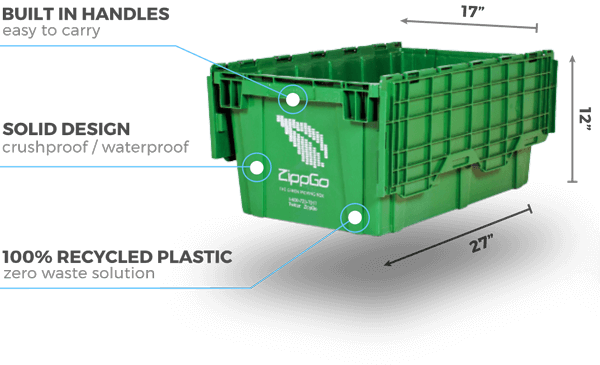 Since ZippGo Boxes arrive assembled and never need tape, you won't waste any time building boxes and you'll be able to start packing right away. "Made moving 1 million times less heinous. I realized after using ZippGo that half the reason I hate moving so much is the awful process of finding/buying boxes, building them, and then having to break them all down and have your new apt. cluttered with 50 awkward and cumbersome pieces of cardboard that you then have to figure out how to get rid of on top of organizing all of your belongings. 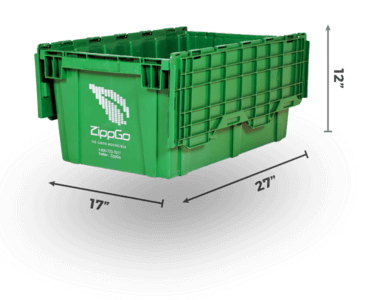 ZippGo boxes were fast, easy and convenient." "I've told everyone I know about how amazing ZippGo is. Make sure to get the dolly with your order as it makes moving the boxes so easy. My movers loved these. Cardboard boxes....never again! Thank you ZippGo." 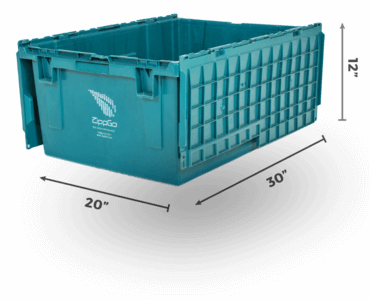 "We moved to a different floor within our building and the green moving boxes were perfect! We got all our stuff in them, loaded them on the dollies, and pushed them in the elevator. They couldn't have made it more easy." Free Next Day Delivery in Palo Alto!